China has continuously striven for its dream of realizing great national rejuvenation for over 170 years, said Xi. History has proved and will continue to prove that only socialism can save China. Only by sticking to and developing socialism with Chinese characteristics can we achieve the rejuvenation of the Chinese nation. China is still in a period of strategic opportunity. 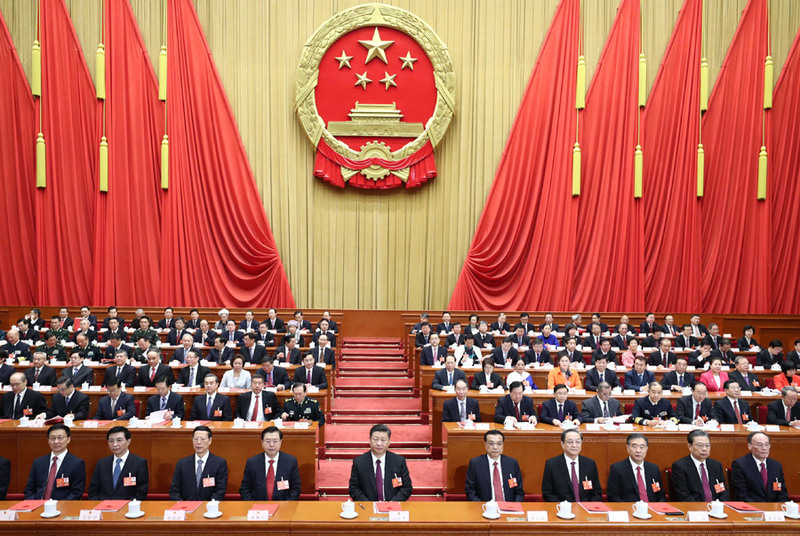 The 19th CPC National Congress has drawn up a lofty blueprint of securing a decisive victory in building a well-off society in all respects and in starting a new journey of building a modern socialist country, and in achieving the rejuvenation of the Chinese nation. Turning the grand blueprint for China into reality is new Long March. We need to uphold the great banner of socialism with Chinese characteristics. China's goal is to build a socialist, modern country by the middle of the 21st century. We need to deepen reform more comprehensively and broaden opening-up with intensified efforts and with more concrete measures, said Xi. We should put into action the new development concepts and pursue high-quality growth of our economy. We should intensify our efforts and take more specific measures to develop socialist democracy. We should step up our efforts and take more concrete measures to advance the cultural industry of a socialism country. We should continue to foster and implement the core socialist values and continue to translate fine results of Chinese civilization into innovative and creative development. We should step up efforts and take more concrete measures safeguard and improve people’s well being. We should continue to step up efforts and take more concrete measures to promote the construction of ecological civilization. We should also make sure that the CPC have the ultimate leadership over the military. We will continue to implement 'One Country, Two Systems' principle, Hong Kong people governing Hong Kong, Macao people governing Macao, and high degree of autonomy in the special administrative regions. We should continue to stick to one-China principle, 1992 Consensus and advance the peaceful development of the cross-Straits relations and expand the economic and cultural exchanges between the two sides. Safeguarding sovereignty and territorial integrity, completely uniting China are Chinese people's common goal and the country's fundamental interests. Every inch of the Chinese territory absolutely cannot be separated from China, said Xi.